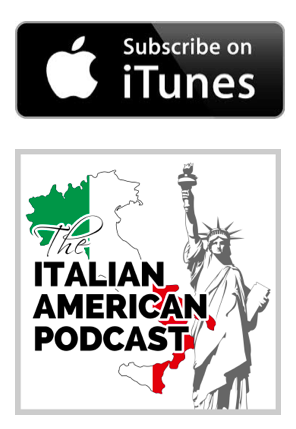 In this episode we talk with Pat Harrison on the Italian-American values she received from her family, the unique leadership of Italian-American women, and Italian-American stereotypes. The Honorable Patricia de Stacy Harrison is the president and chief executive officer of the Corporation for Public Broadcasting (CPB), the leading funder of public radio and public television programming for the American people. Under Ms. Harrison’s leadership in 2011, CPB launched American Graduate: Let’s Make It Happen, a nationwide public media initiative to help communities across the country identify and implement solutions to the high school dropout crisis. For this work, she was honored in 2016 with a Promise of America Award from the America’s Promise Alliance. Ms. Harrison is also chairman of the Leadership Council of Women and Girls Lead. In 2012, she was included on the Forbes list of “Women Changing the World in Media” for establishing Women and Girls Lead and her continued leadership on the project. Prior to joining Corp Public Broadcasting in 2005, Ms. Harrison served as Assistant Secretary of State for Educational and Cultural Affairs and Acting Under Secretary for Public Diplomacy and Public Affairs. She is the recipient of many awards and honors, including the U.S. Secretary of State’s Distinguished Service Award. She sits on the boards of the National Italian American Foundation, the National Parkinson Foundation and the American University of Rome. She is also a member of the Board of Advisors at the Georgetown Institute for Women, Peace and Security. She is a former Thomas Colloquium on Free Enterprise guest lecturer at Youngstown State University in Ohio and was a visiting fellow at the Institute for Public Service of the Annenberg Public Policy Center, University of Pennsylvania, in 2000, and at the John F. Kennedy School of Government, Harvard University, in 1992. She is the author of two books, A Seat At The Table: An Insider’s Guide for America’s New Women Leaders and America’s New Women Entrepreneurs. Growing up in an Italian-American community had a huge impact on her values and her decision making. Her family helped her to develop a moral compass, so that no matter what situation she was in, she knew who she was. Giving kids a moral compass or a good foundation of values is the most important thing you can do as a parent. Italian-American immigrants provide such inspiration for us today, because if they could accomplish what they did, there’s no limit to what we can do. Our Italian ancestors made everything possible for us. Many Italian immigrants changed their names for different reasons; a lot of times to avoid prejudice against them and their families. There are a lot of stereotypes out there about Italian-American women that may not be very accurate. The end of this episode features a tour of the American Italian Cultural Center (AICC) in New Orleans. You can see some photos below. The AICC promotes the culture and heritage of the American Italian community by offering Italian language and culture classes, seminars, concerts, and events. This center aims to be the leading institution preserving and celebrating the American Italian history of Louisiana. Their values include education, inspiration, high quality, collaboration, and financial integrity. We provide programming opportunities that allow the community to come together to learn about the people, places, and events of our rich history and continuing significance.